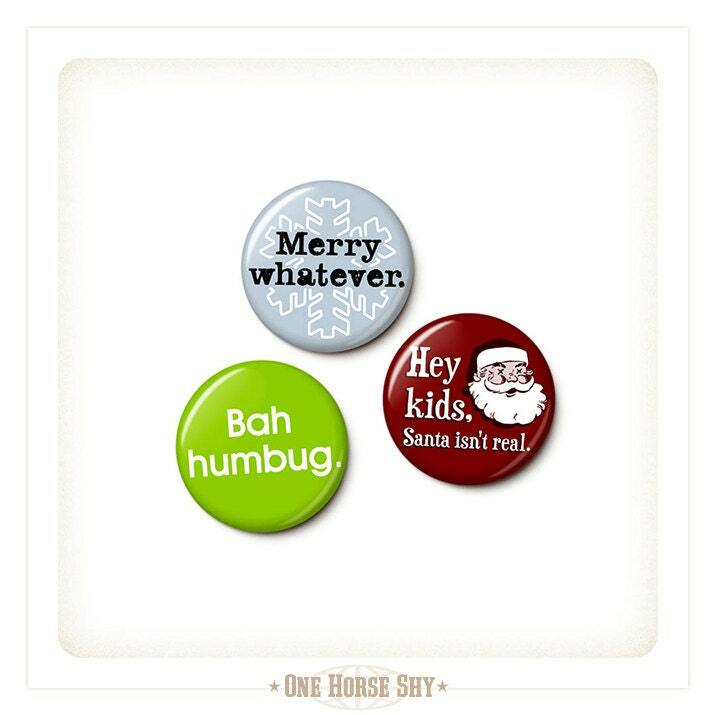 The Holiday Apathy Button/Magnet Set includes: Hey Kids Santa Isn't Real, Merry Whatever, and Bah Humbug. Set of 3 pinback buttons or 3 magnets, your choice. ★ 1 inch mini buttons are the perfect little size to stick just about anywhere! Or size up: not too big, not too small, 1.75 is the ideal button size! ★ Magnets are super strong: can hold up multiple takeout menus, greeting cards, extra long "to do" lists, short manifestos, and more. 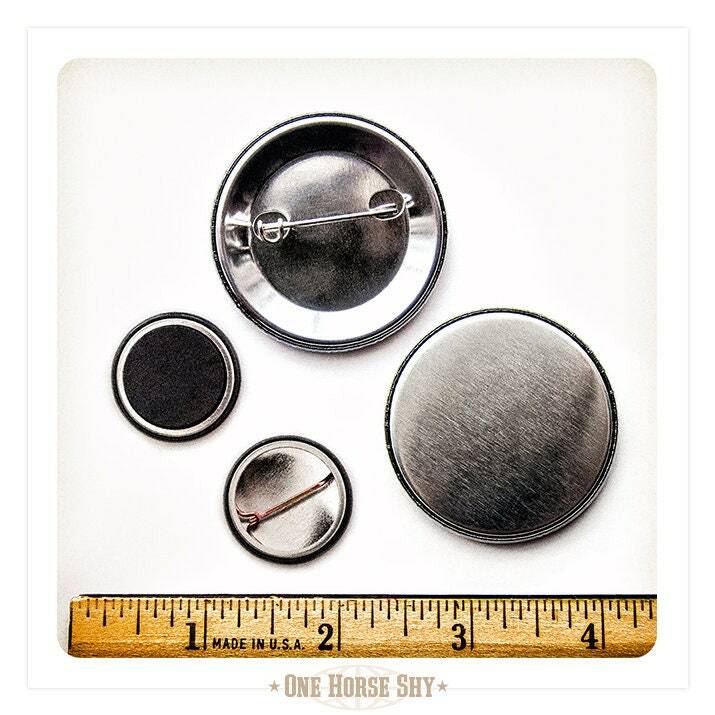 ★ Handmade by OneHorseShy in beautiful Savannah, GA. All button & magnet parts are made in the USA of US steel, magnetic backing is imported. ★ In stock & ready to ship within 1-2 business days. Easy flat rate shipping: any size order ships for only $3. ★ Please heed these safety instructions: Choking hazard! Mini buttons & magnets are only 1 inch round, keep away from children and pets. Also, poking hazard! Pins are very pointy, handle with care.